Top 500 Boys All-Time At MileStat.com Invite: Can It Be 3 Years In A Row Of Sub 15 Winner? 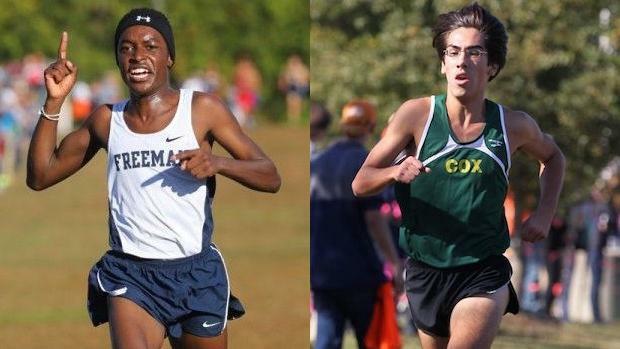 Check out the top 500 boys times ever run at MileStat.com XC Invitational. The past two years has seen the winning time from the varsity A boys race dip under 15 minutes with Cox's Jonathan Lomogda as the first to go under the time barrier in 2015, while Douglas Freeman's Waleed Suliman bettered that meet record by 7 seconds with a 14:49 scorcher last October at Pole Green Park. A remarkable number of 83 boys have broken 16 minutes in meet history.